Need to advertise your logo with a hot drink? Look no further! 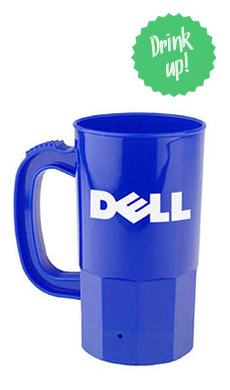 These cups are able to withstand hot temperature making it easy to enjoy your coffee or hot beverage while promoting your company simultaneously. These cups are printed in Hi-Definition making it able to give you full color on the entire outside of the cup. This cup will keep your hot drink in while not stealing from your wallet. Each cup is full color imprint with free set-up fee. Also available in 12 oz.